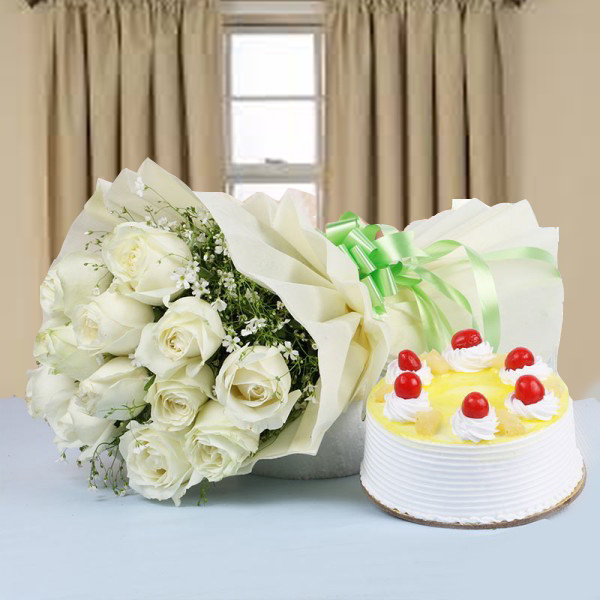 Product Consist: Bunch of 12 White Roses along with 1/2 Kg pineapple Cake. Send fabulousness to your dear ones on their special day and win their heart. Best part is that now you can just order flowers online and have them delivered almost anywhere in the same day. It is very special to know the love and care hidden behind an introvert person so make the same feelings of happiness for your partner this is a simple reason to make believe to your partner how much special he or she is for you. 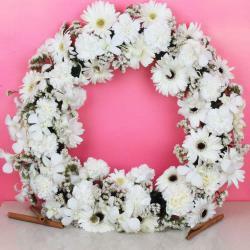 This combo contains garden fresh flowers bouquets of twelve white roses which are packed immaculately in paper wrapping along with a matching ribbon bow which is tied onto it. This combo also contains a Pineapple Cake. This combo will be a really attractive option for all your gifting needs. 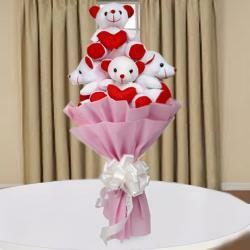 Send this amazing bouquet to your dear ones to India through Giftacrossindia.com and make them feel special. Product Includes: Bunch of 12 White Roses along with 1/2 Kg pineapple Cake.